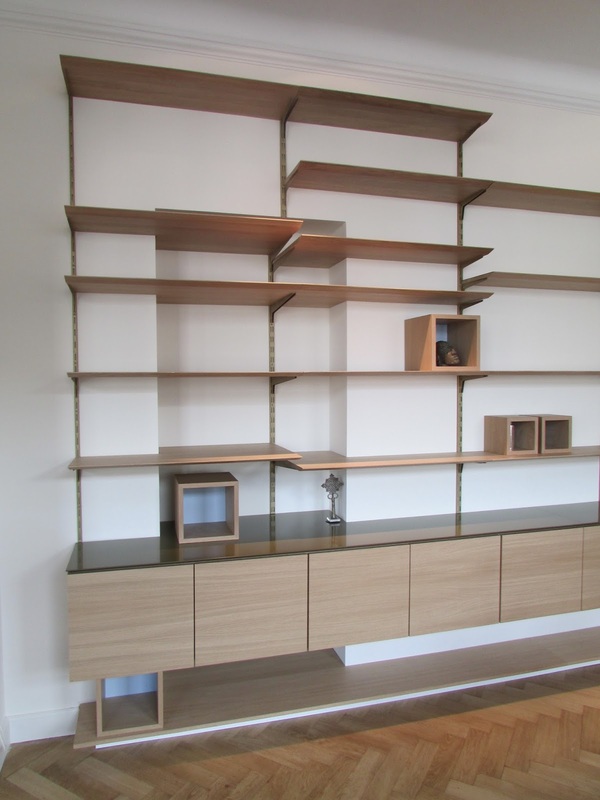 Yesterday we installed a new bookcase for a client. 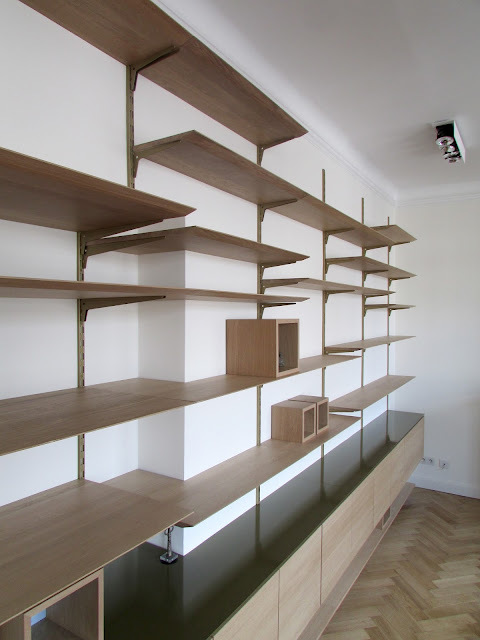 The structure of metal strips and brackets holding up the shelves are off the shelf and instantly recognisable. Instead of black or white, we spray-painted them in a brushed matte brass, to make them blend in with the wood and soften the look. 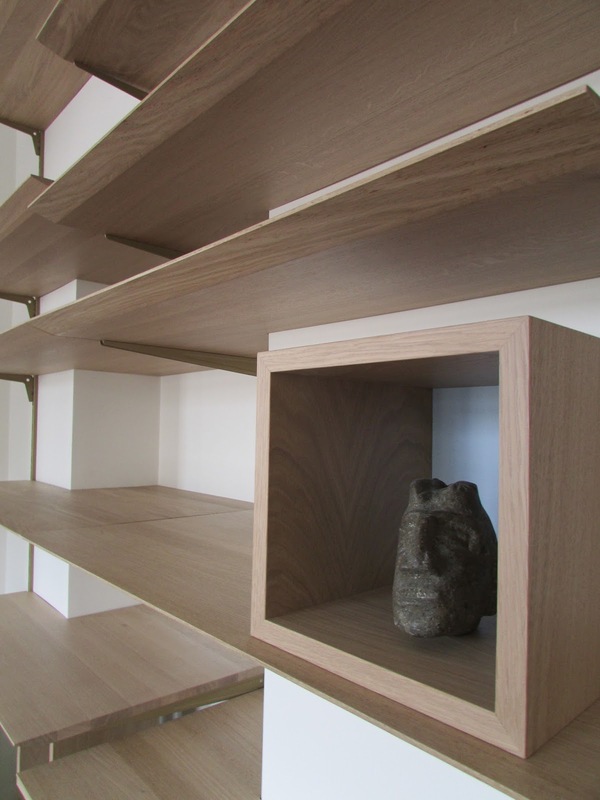 The shelves are solid oak, bevelled at the front to make them look thin. The row of cupboards is for files, it has a top spray-painted in a green-brassy colour. It is not as glossy as the pictures show. The shelves above the cupboards are placed to emphasise a horizontal movement. 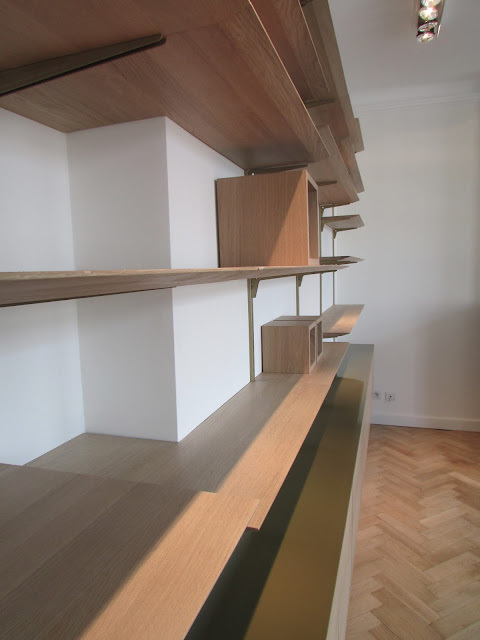 We placed more shelves towards the top and fewer near the cupboard, to keep a balance. The bookcase is built over a niche in the wall. 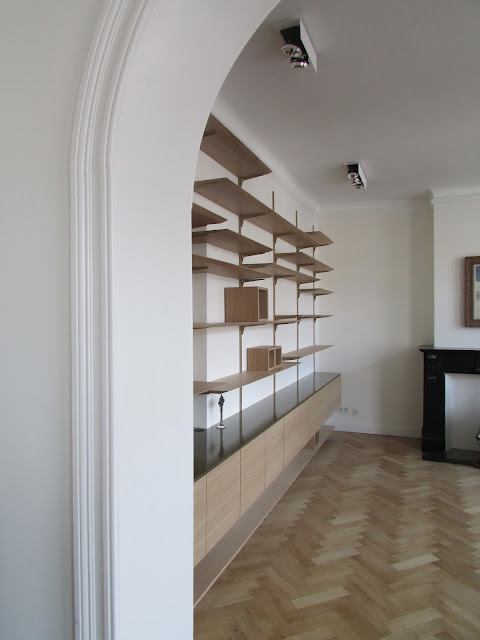 The shelves and cupboard follow the angles and movement of the walls. We added six small display boxes in oak with powder blue background. 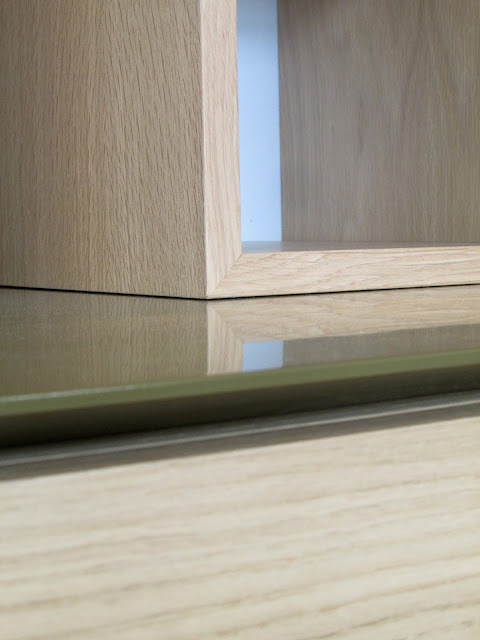 Close-up of the beveled top of the cupboard.